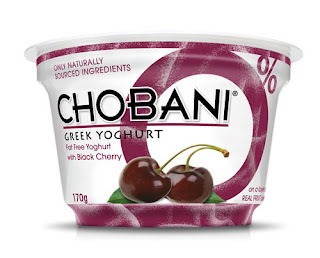 I had never heard of Chobani Greek Yogurt until I was contacted to review this low fat yogurt which is a favourite in the US. I have tried some low fat greek yogurt before, some of them keep their yogurt low in fat by adding a lot of stabilisers and fillers. 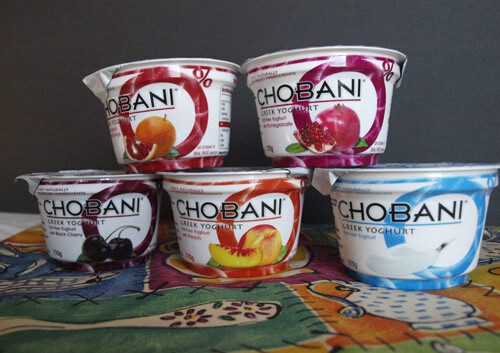 Chobani use an authentic straining process – it takes 3 litres of milk to make one kilogram of Chobani Greek Yoghurt. Once the cultures have been added to fresh milk to turn it into yoghurt, Chobani takes it a step further and strains it. The end result is a thick and creamy texture that offers twice the protein of regular yoghurt. 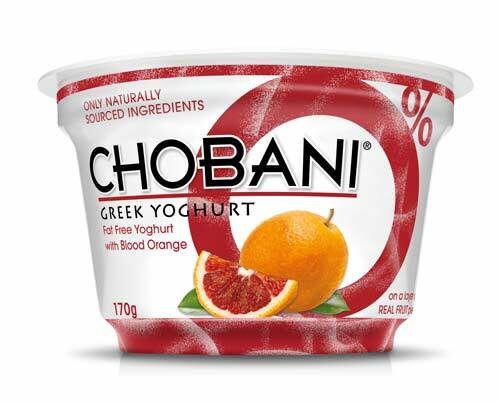 I've been taking the Chobani Greek Yogurt pots to work for my lunch, I started with this Blood Orange flavour. The yogurt is very thick, it is creamy but also has a slightly cloying texture which I haven't noticed in other 0% fat Greek Yogurts. I really liked the blood orange sauce, it had a sharp acidity and cut through the diary beautifully. Definitely a thumbs up for the Blood Orange flavour. Next up was the Black Cherry, this is a more common fruit to match with yogurt, so it was easier to compare it to others that I have tried. I was a bit disappointed with the Black Cherry, the fruit seemed to be very thickened with cornstarch or a similar stabiliser. I didn't feel there was much flavour in the fruit sauce either and it didn't have the acidity that the blood orange had to cut through the thick, creamy yogurt. I was quite excited to try the pomegranate, the flavour was good, but I didn't enjoy the seeds in the fruit sauce. I have yet to try the peach or the plain Chobani Greek Yogurt pot. 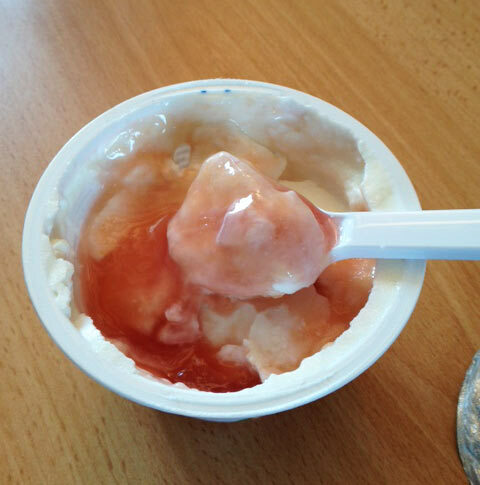 I think it's unfortunate that there is so much variation in the fruit sauces and that, while the yogurt is without any additives, there seems to be a need to add stabilisers to the sauce. Not that these are 'artificial' but don't give a natural 'jammy' flavour which I would prefer. 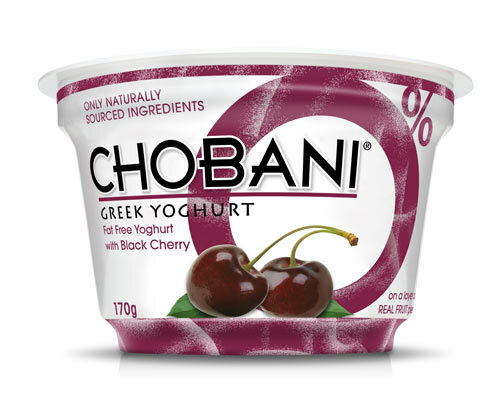 I would recommend buying the plain Chobani Greek yogurt and adding fresh or lightly poached and sweetened fruit to get a really natural taste. Chobani Greek Yogurt is now available at selected Tesco stores across the UK. I was supplied with five pots of Chobani Greek Yogurt, however all opinions expressed are my own. Interesting to read your thoughts Janice. I was sent some tubs too. Tried the pomegranate but not the others yet. I will let you know what I think once I have tries a couple more flavours! Interesting review. I'm not keen on starch thickened yogurts/sauces so I'll bear that it mind and probably won't bother with these. 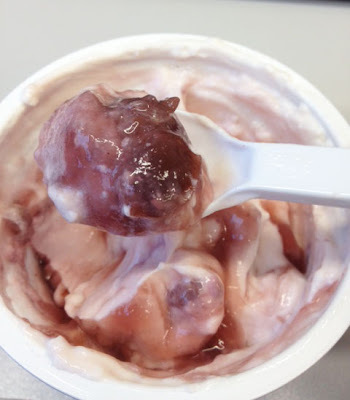 I have recently tried Chobani fat free plain yogurt and although it was OK, it didn't manage to fare as well as Total from Fage.. It is not as thick and slightly more bitter than Total.